Check out our page at https://darkecountyhealth.org/about/employment-opportunities/ for some job opportunities! Coming soon!! Check back for information about 2019’s National Public Health Week: Creating the healthiest nation: For Science. For Action. For Health. 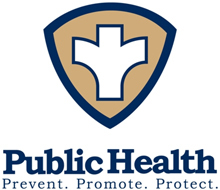 We will be having our Public Health Accreditation Board Site Visit on Tuesday, March 26th and Wednesday, March 27th 2019. Our immunization clinic will be closed on the 26th and there will be limited services on both of those days due to staff involvement with the site visit. We apologize for any convenience. Our offices will be closed in observance of Presidents Day on Monday, February 18, 2019. Take the 1 Billion Steps Challenge! The American Public Health Association has set up a nation wide challenge for 1 Billion steps to be reached by April 1st. We are all trying to be healthy right now so let’s join in! Go to http://www.nphw.org/get-involved/steps-challenge to sign up. Darke County would love for you to join our team DC_PHChampions. Let’s get to steppin!